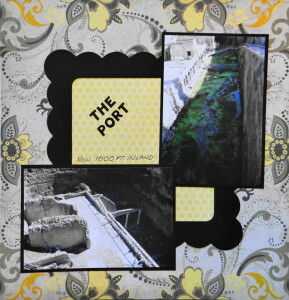 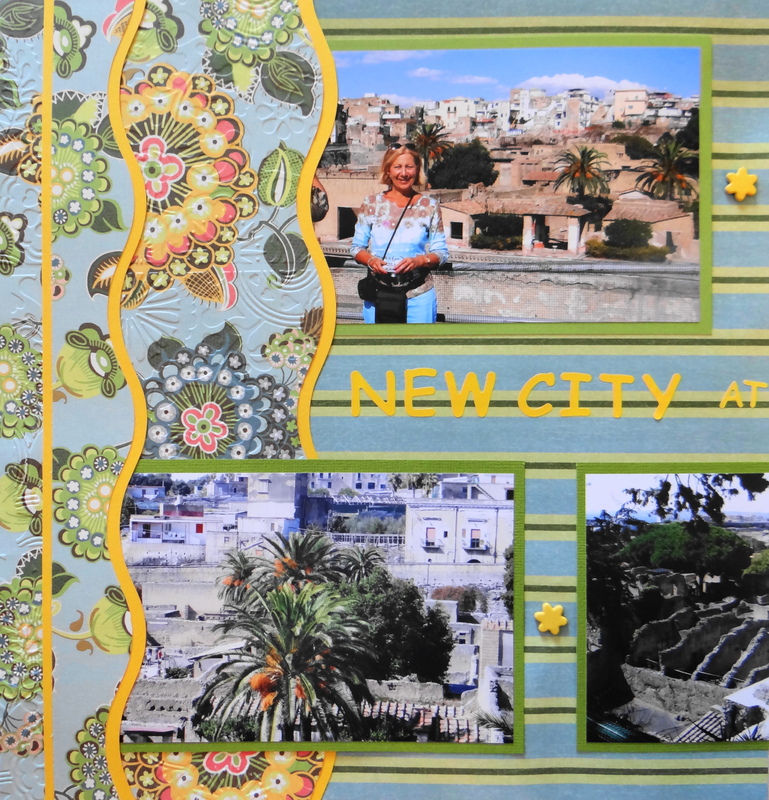 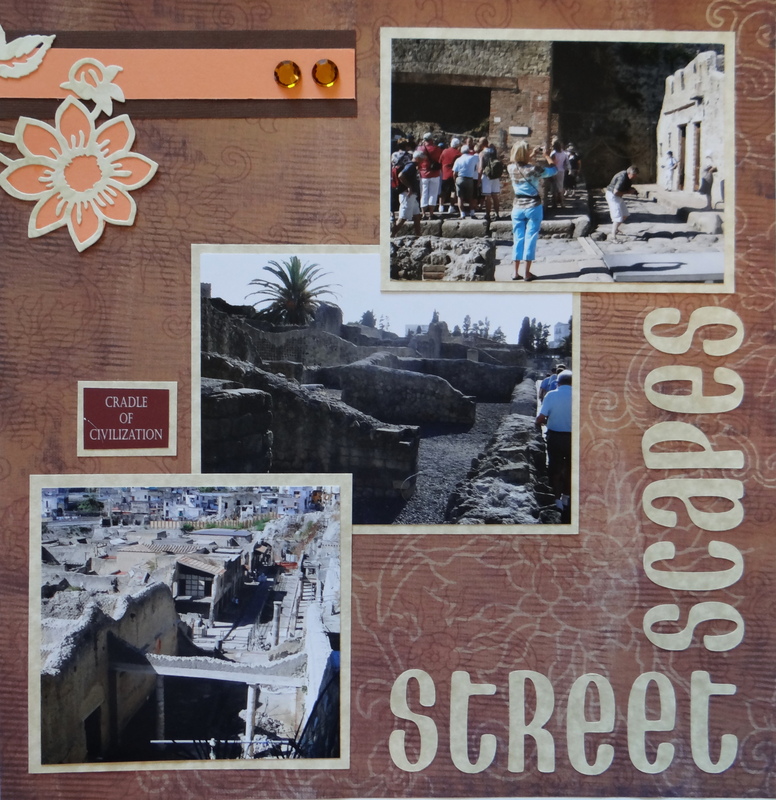 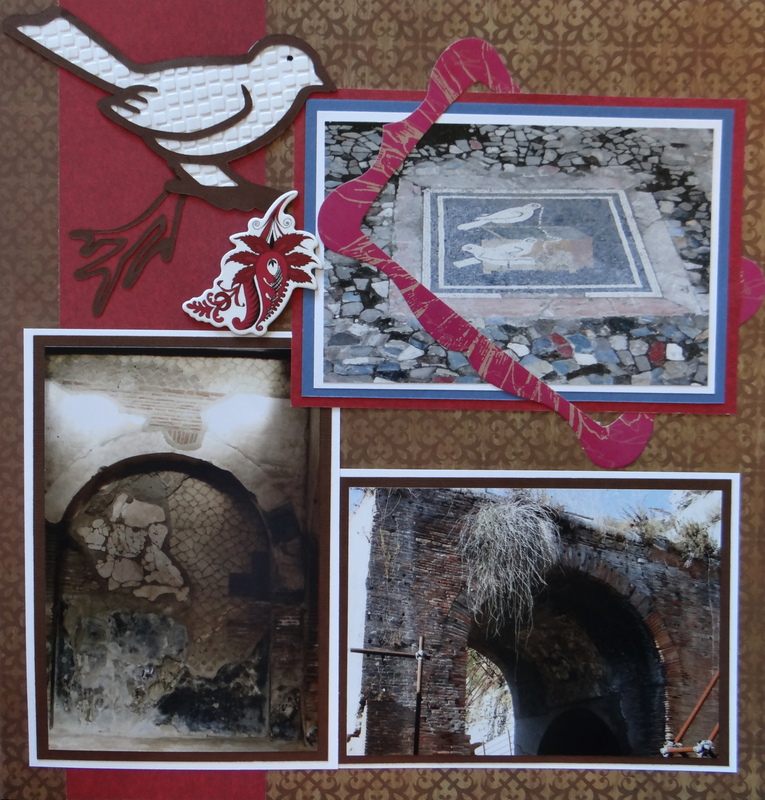 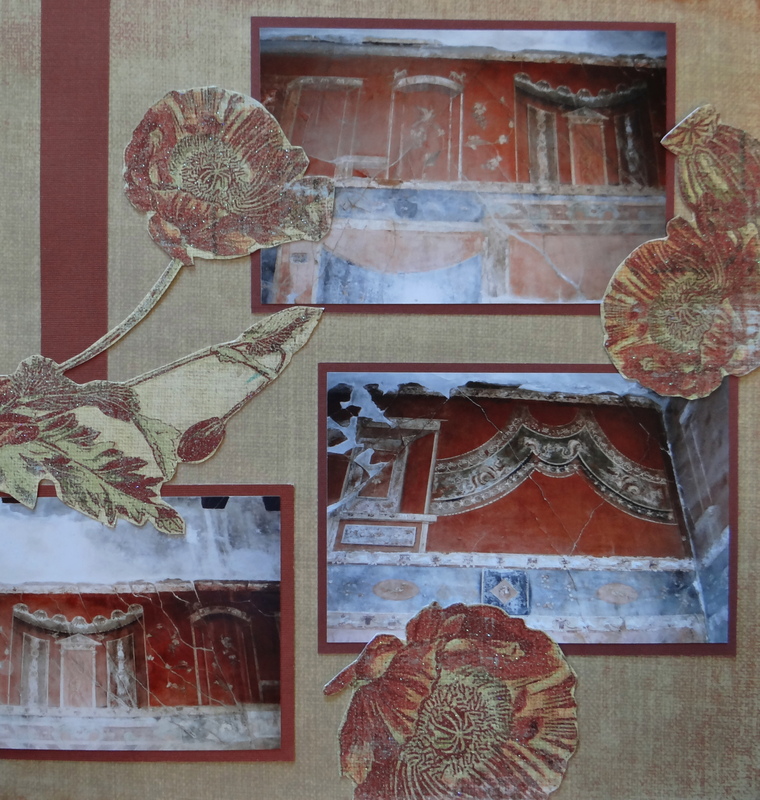 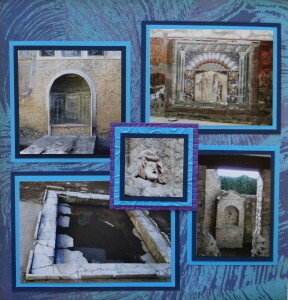 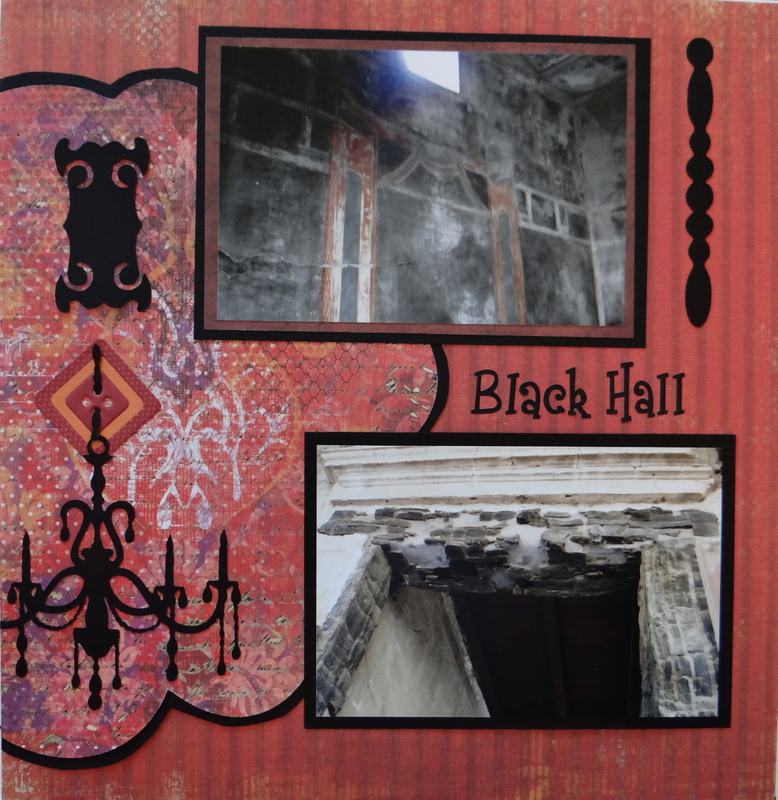 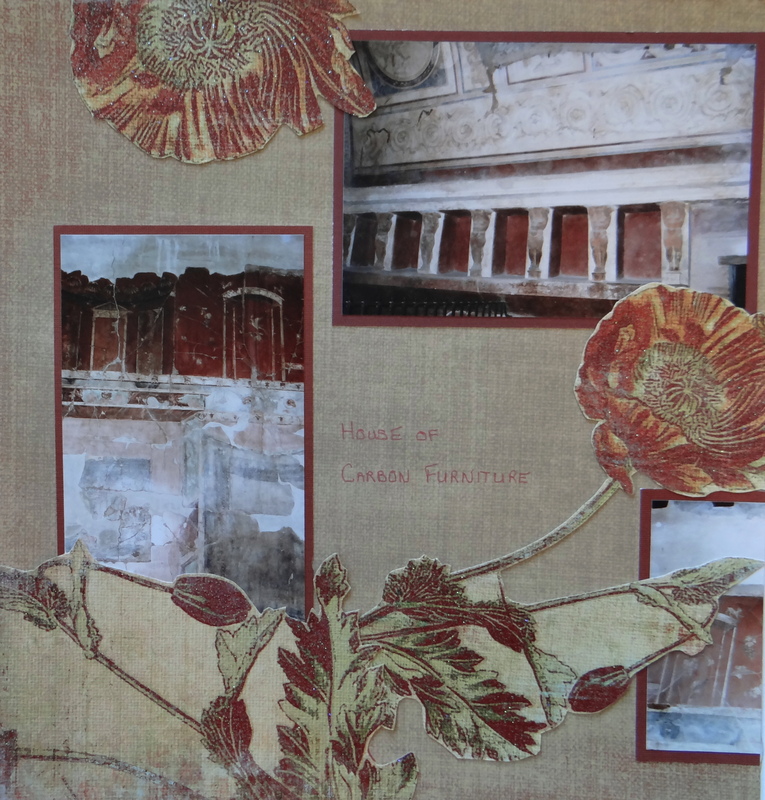 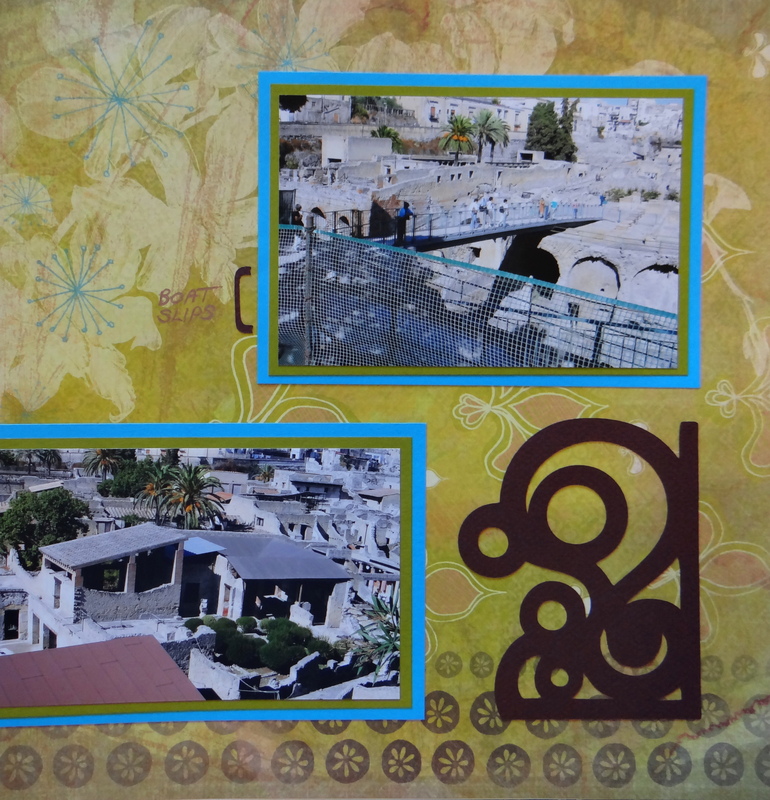 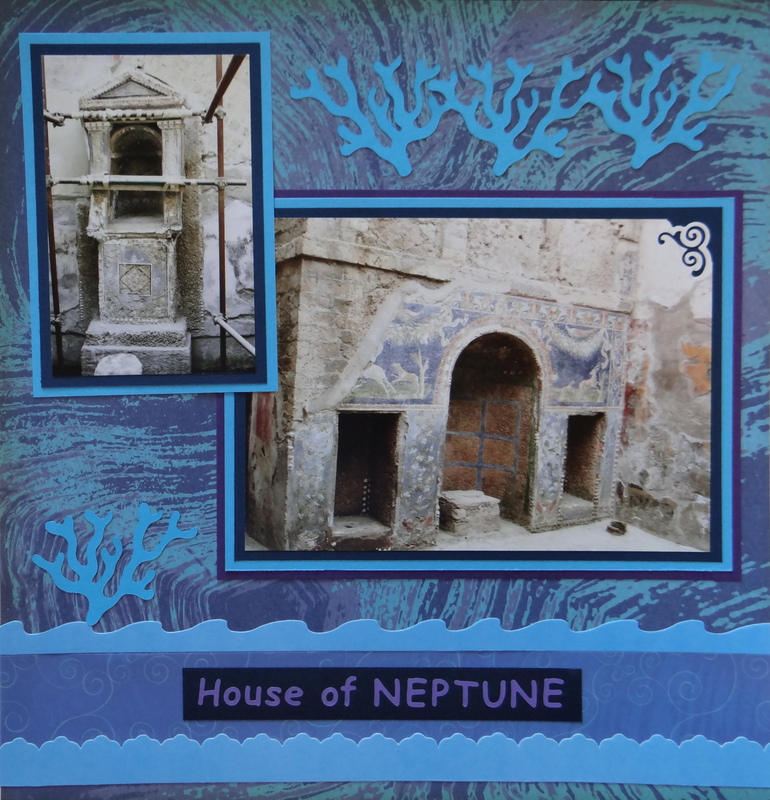 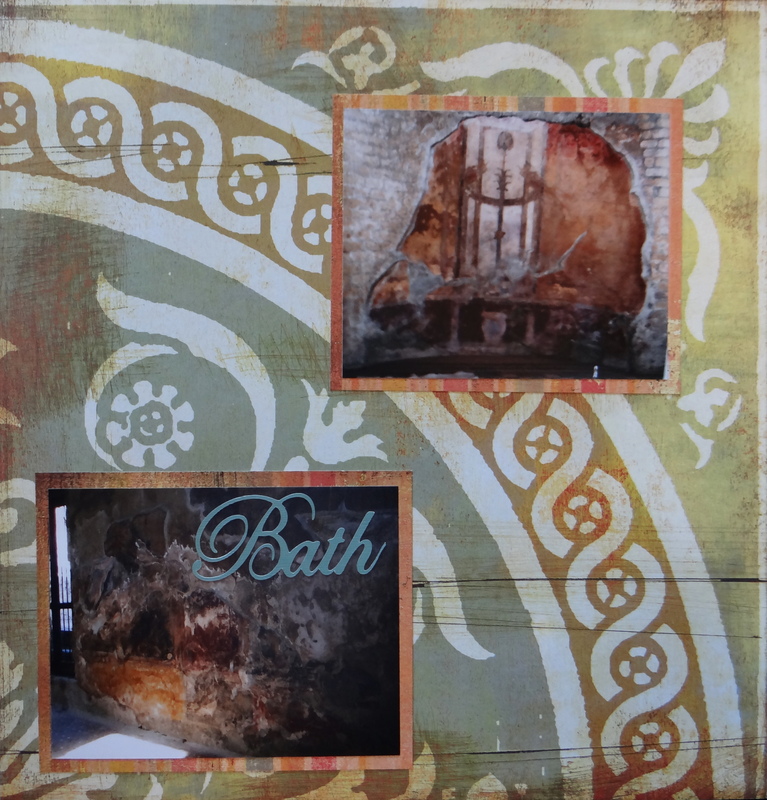 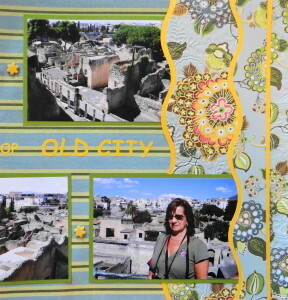 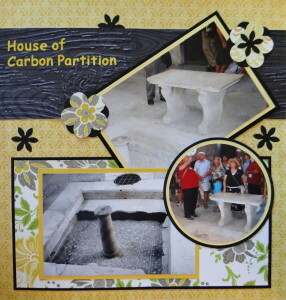 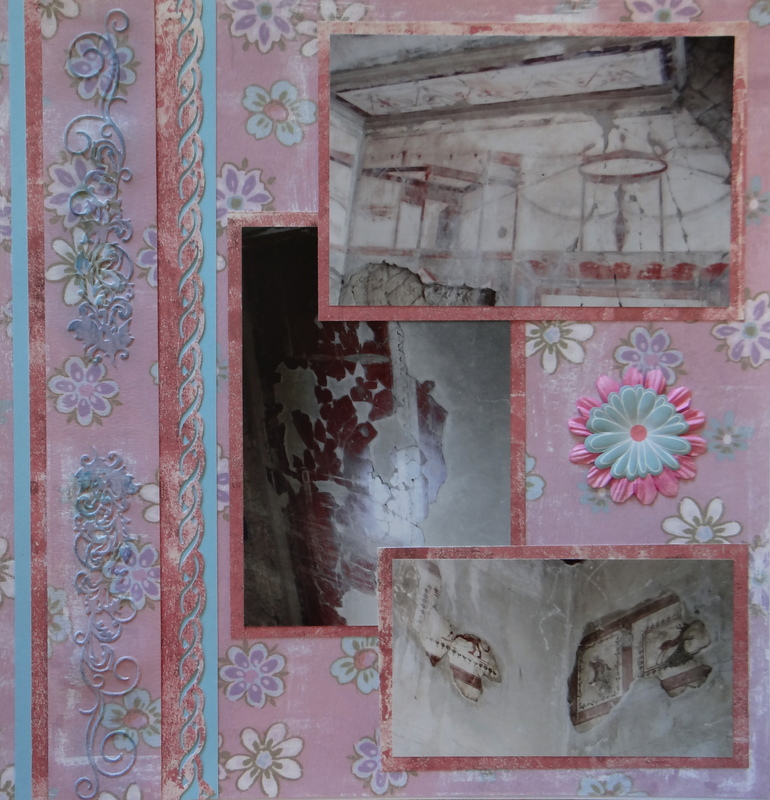 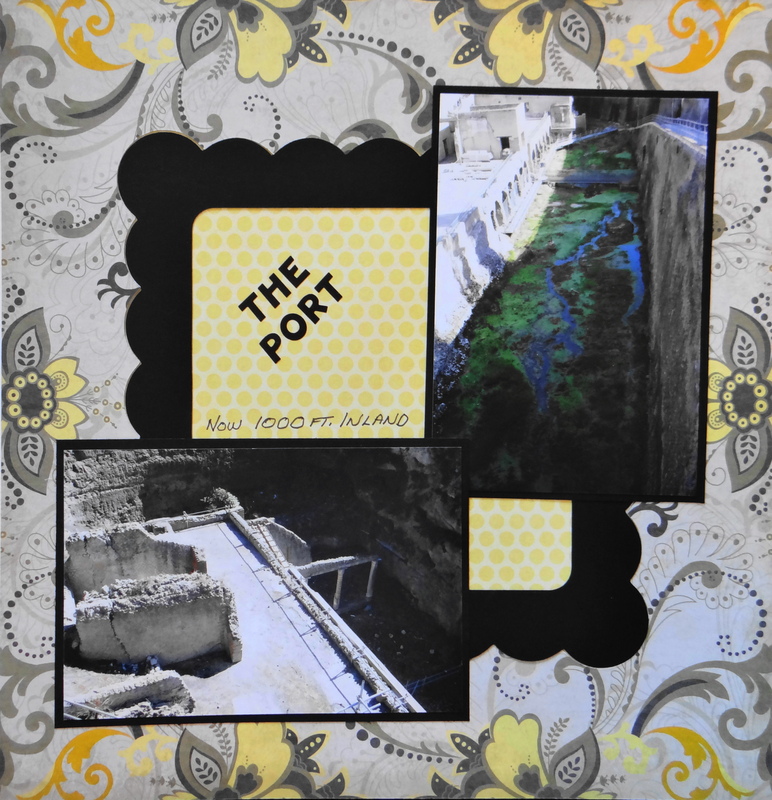 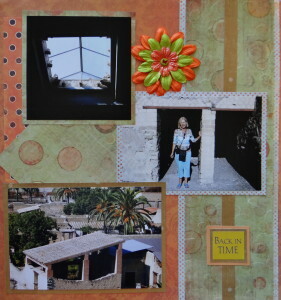 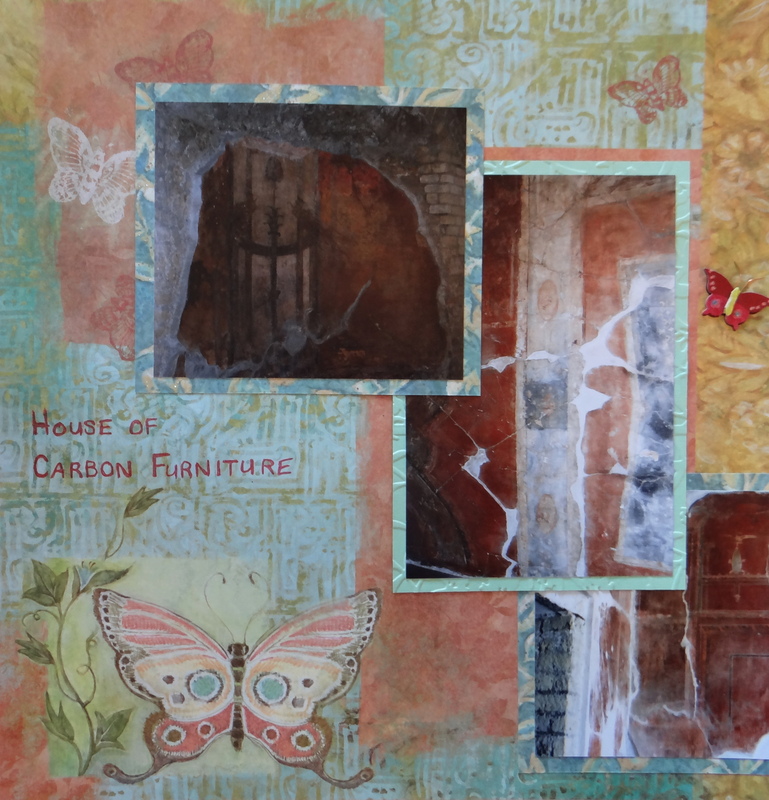 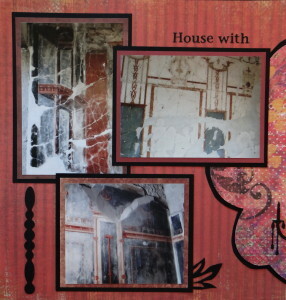 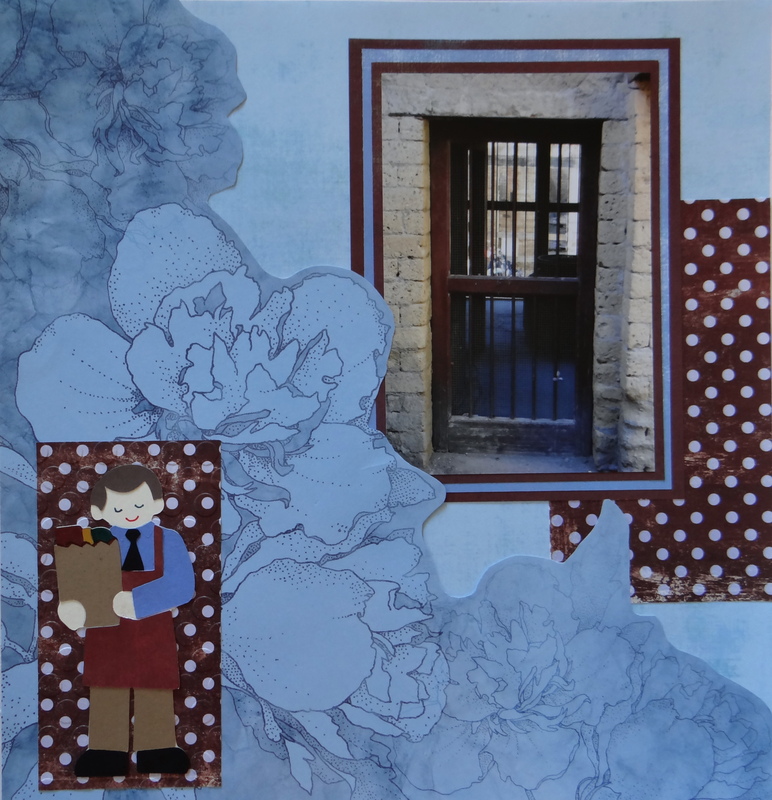 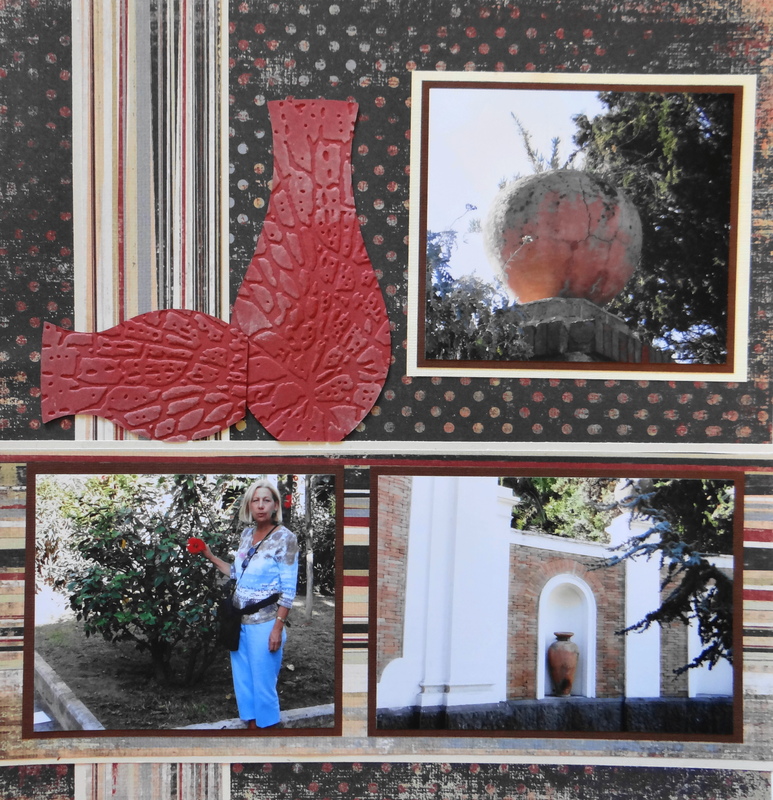 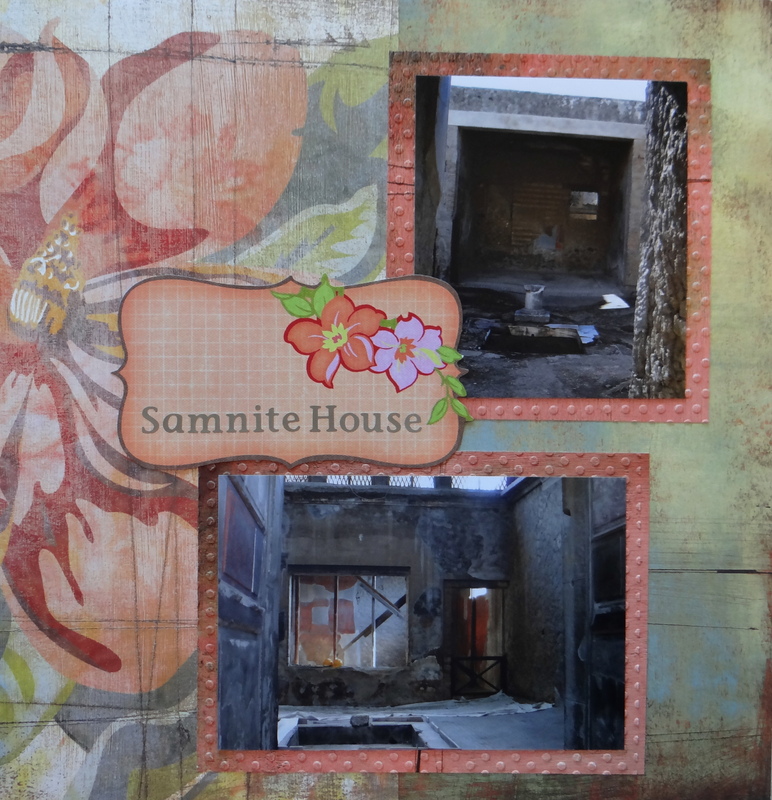 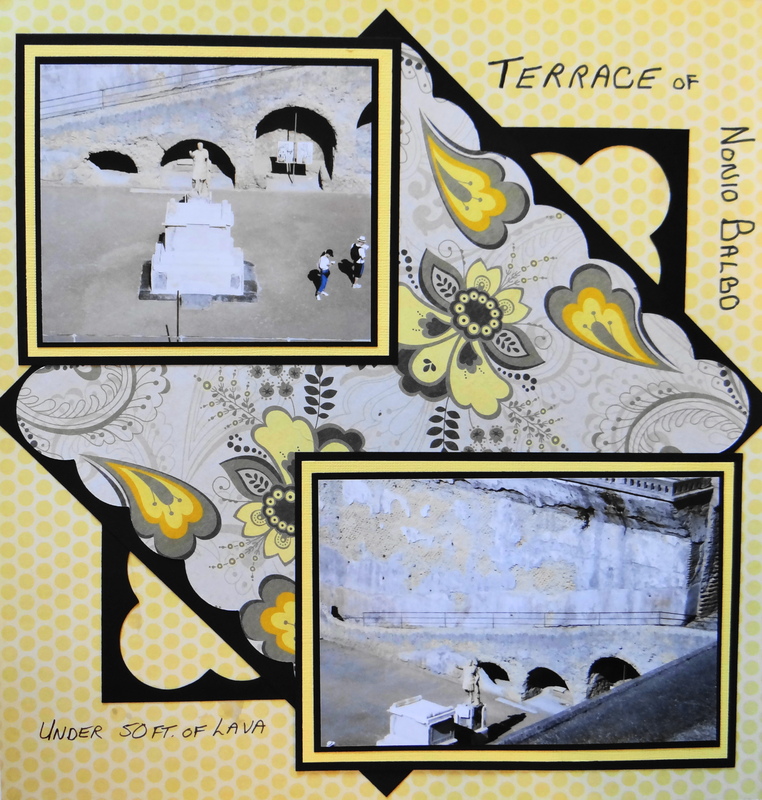 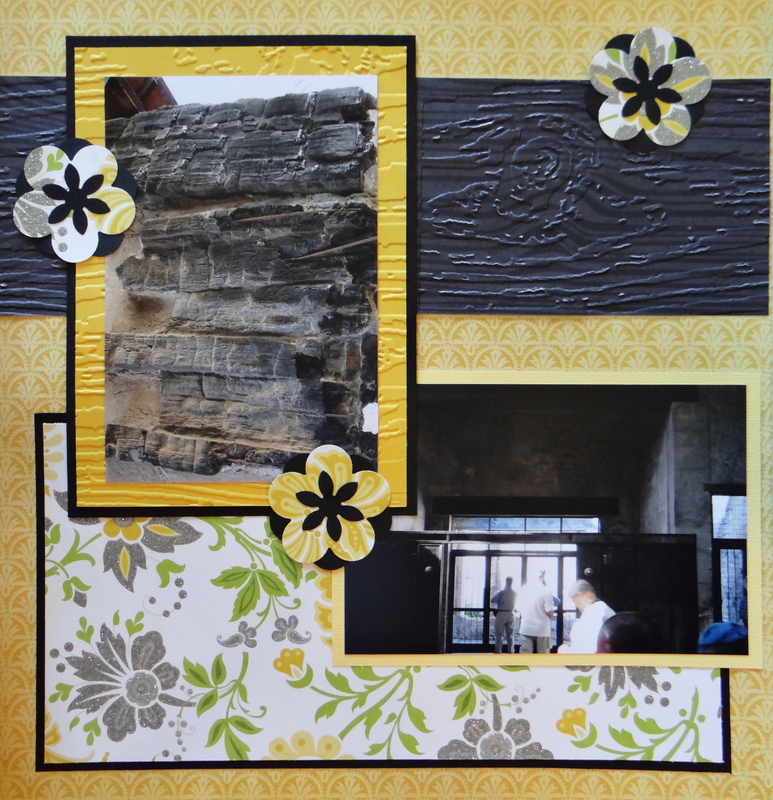 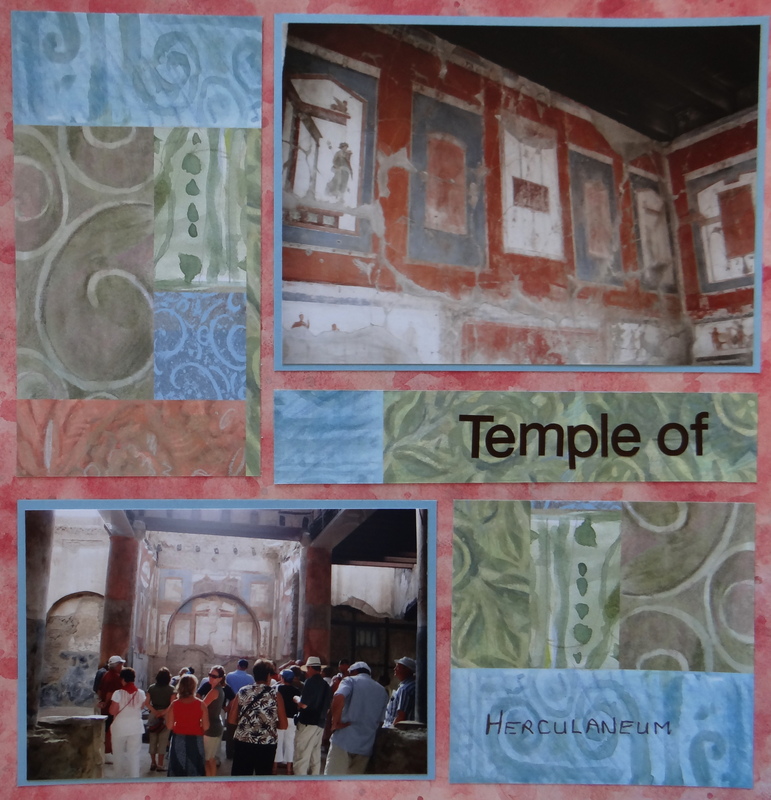 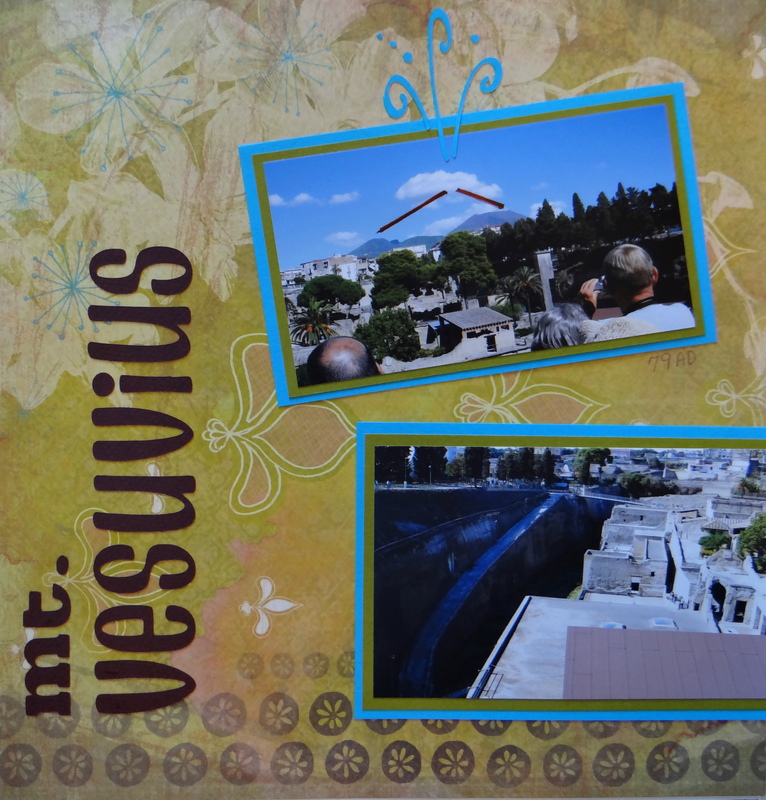 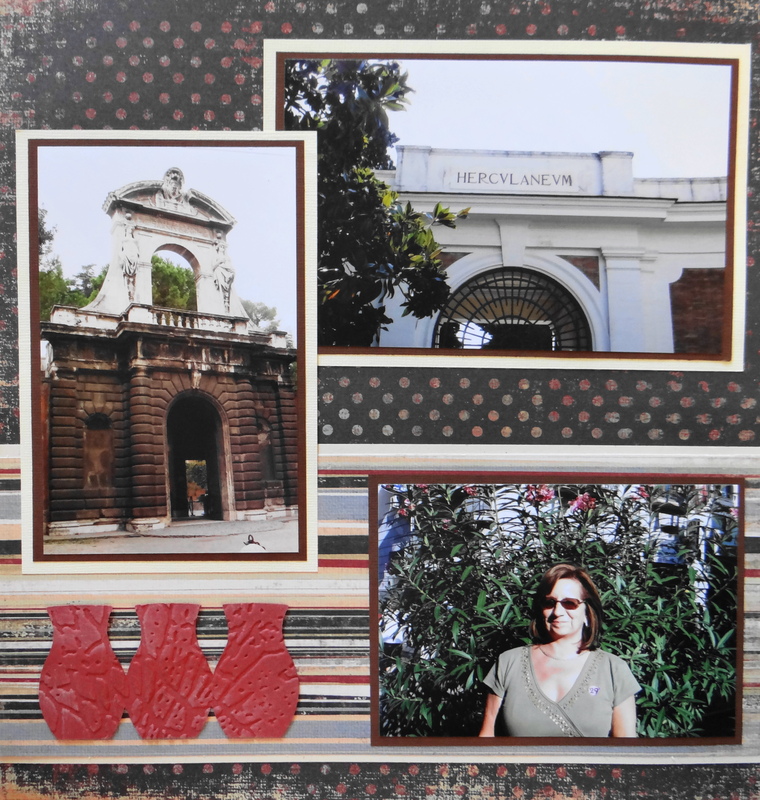 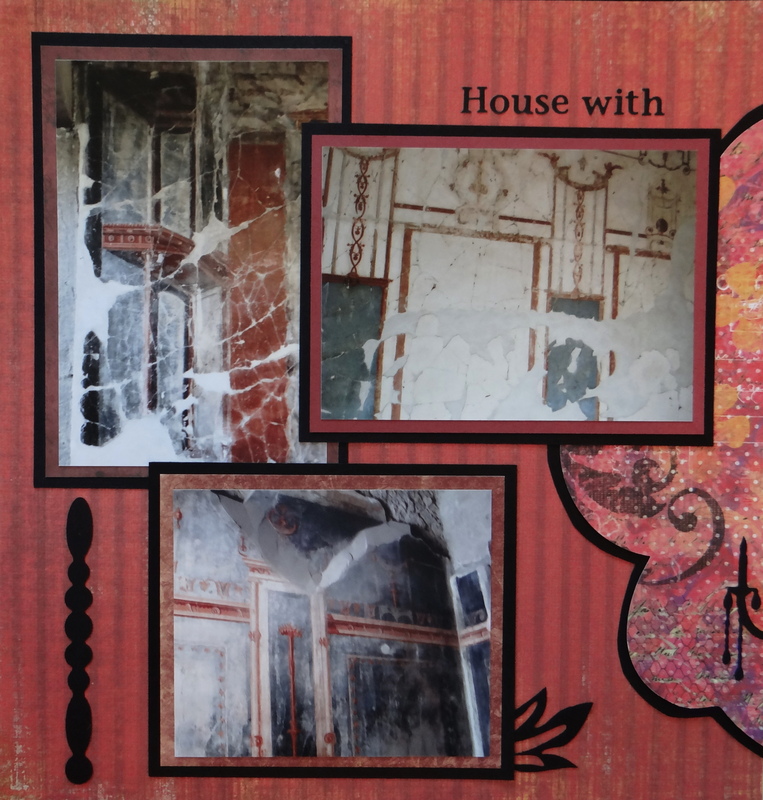 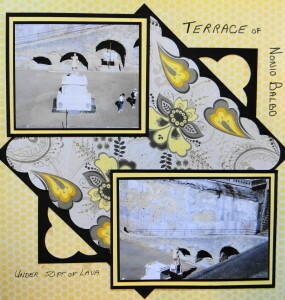 You will find travel scrapbook ideas in this album of the ruins of Herculaneum near Naples, Italy. Inspiration: The clay pots at the gates to Herculaneum. 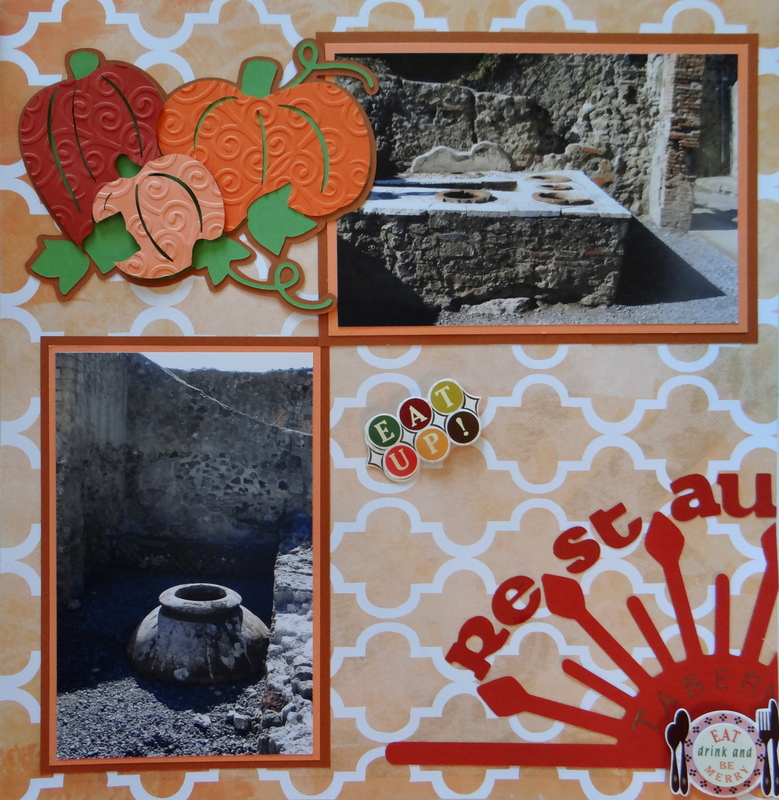 The pots are from Cricut cartridge Walk in My Garden. 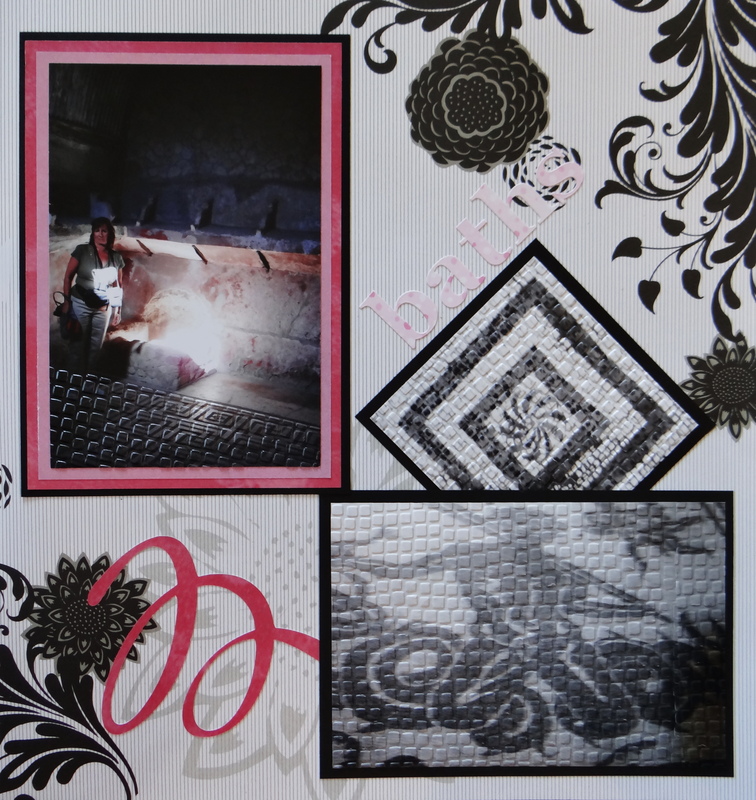 I embossed & inked them. 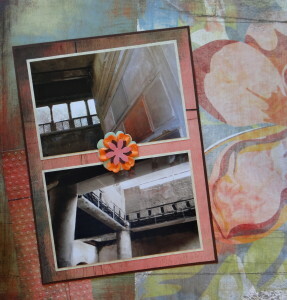 The scrapbook paper is from Complete Boy Paper Stack by My Mind’s Eye. 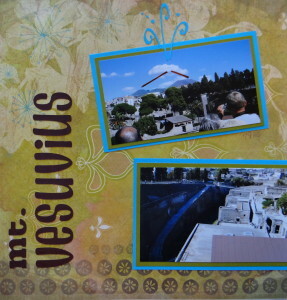 Inspiration: The photo with Mount Vesuvius in the background. 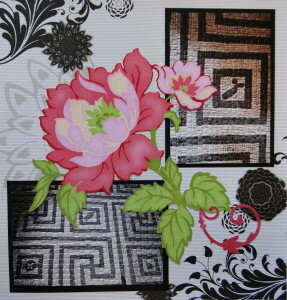 This scrapbook paper is from K&Co. 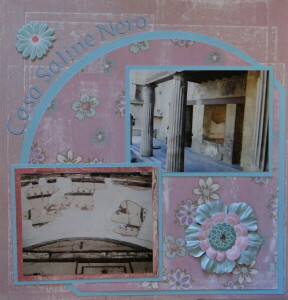 Viola Vita Paper Pad. The title font is from Don Juan and the corner scroll is from Storybook. 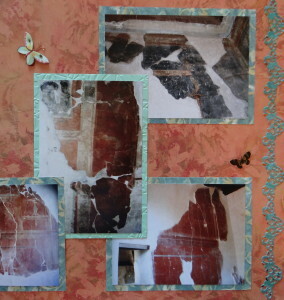 Inspiration: The colour of the stone streets. 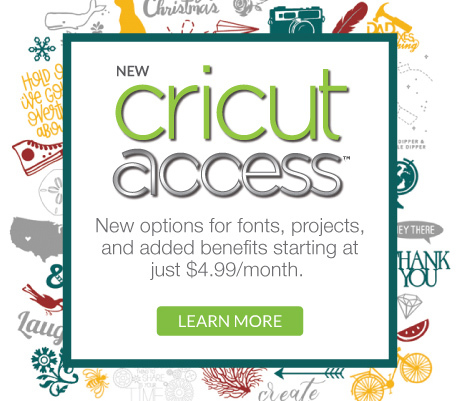 The font is from Cricut Don Juan. 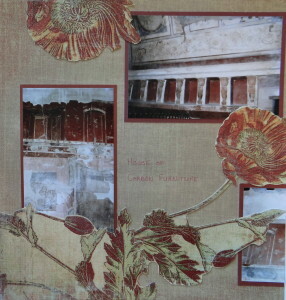 I bought the flowers. 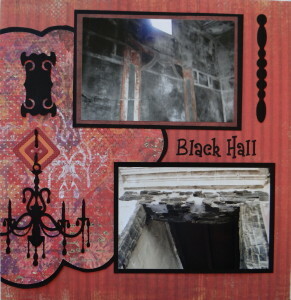 Inspiration: The hand painted wall murals in this “House with the Black Hall”. 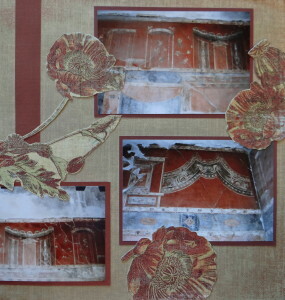 The chandelier and border images are from Home Decor. The scrapbook paper is from My Mind’s Eye. 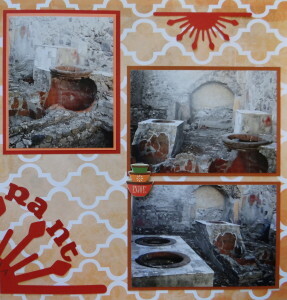 Inspiration: The Roman ruins of this restaurant in Herculaneum. 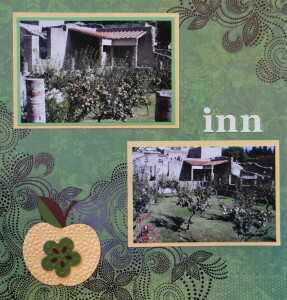 The pumpkin group is from Cricut Disney Pooh and Friends( I embossed them), the half sun is from Ornamental Iron and the font is from Don Juan. Inspiration: The blue sea art in this the “House of Neptune” . 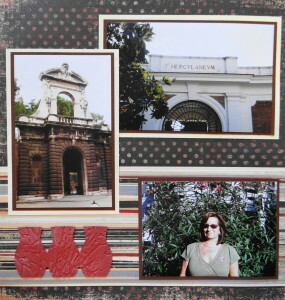 The coral is from Cricut Life’s a Beach. 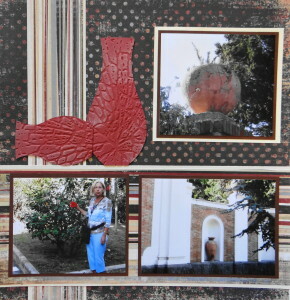 The scrapbook paper is from Recollections Animal Kingdom Paper Pad. Inspiration: The charred wood in this the “House of the Carbon Partition”. 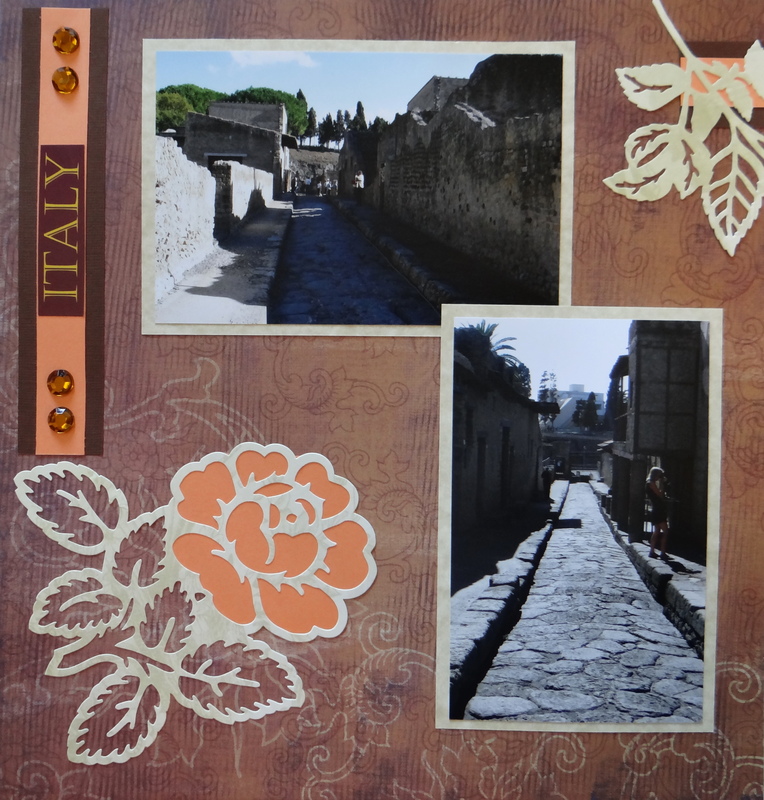 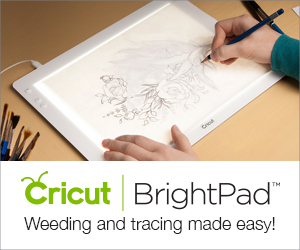 I embossed the large border with wood grain. 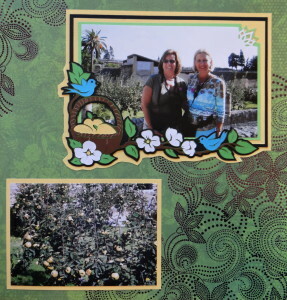 The scrapbook paper is from DCWV Lemon Flower Stack. Inspiration: The iron door and the blue tones inside the store. 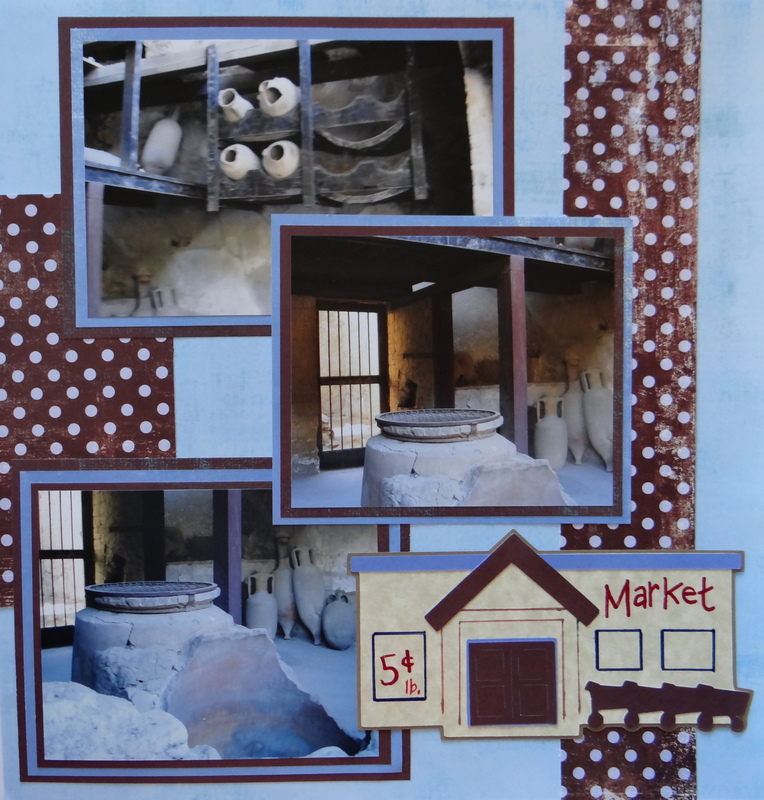 The grocer and the market are from My Community. 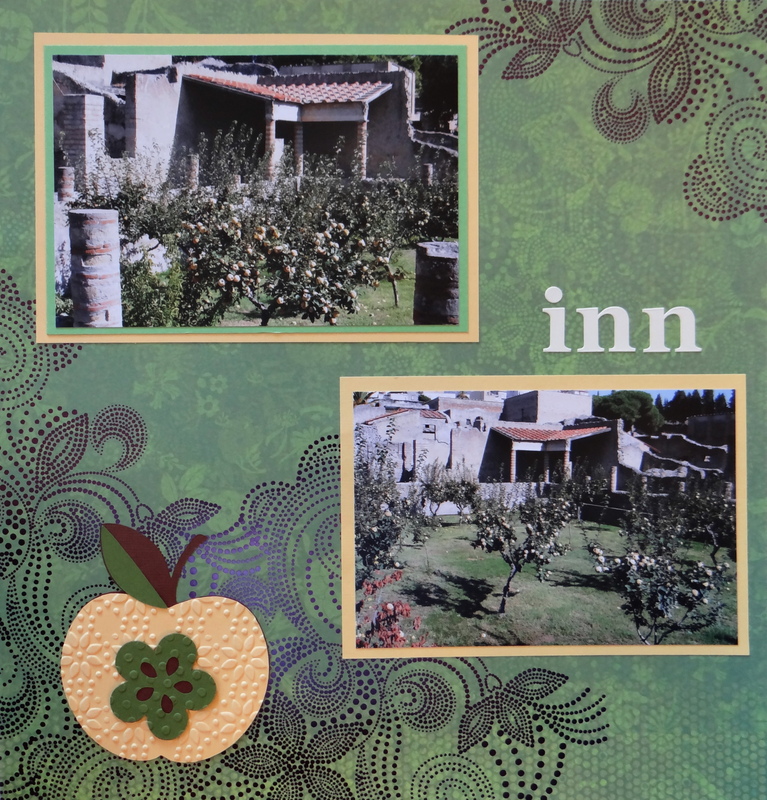 Inspiration: The apple tree orchard outside the ruins of an inn. 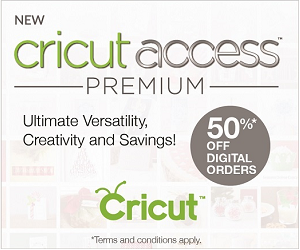 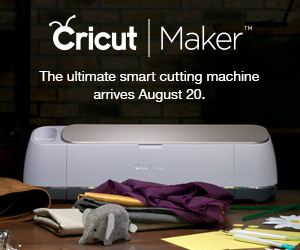 The apple is from Cricut Preserves. 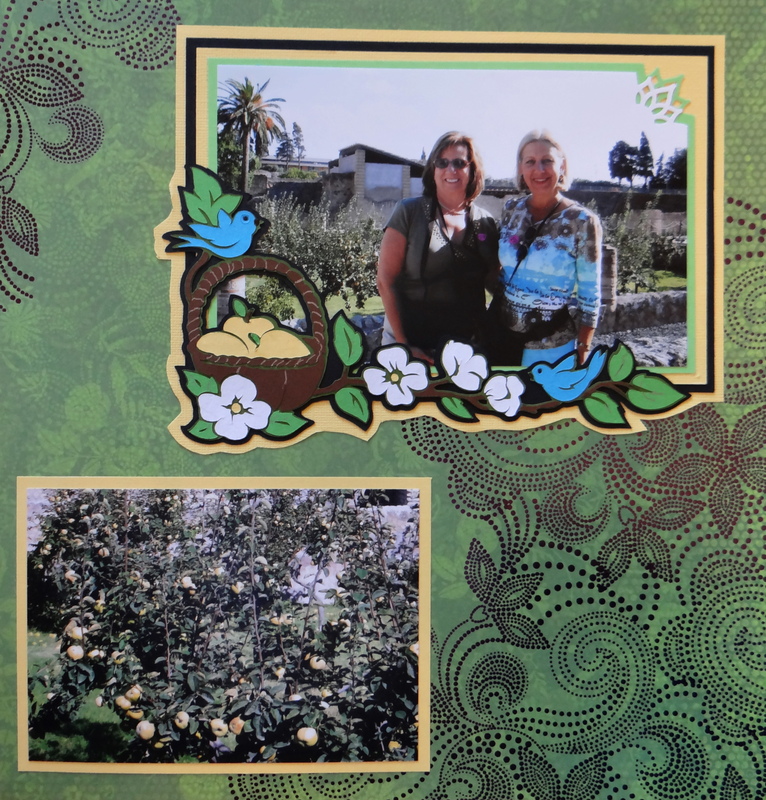 The apple basket floral corner is from Disney Happily Ever After. 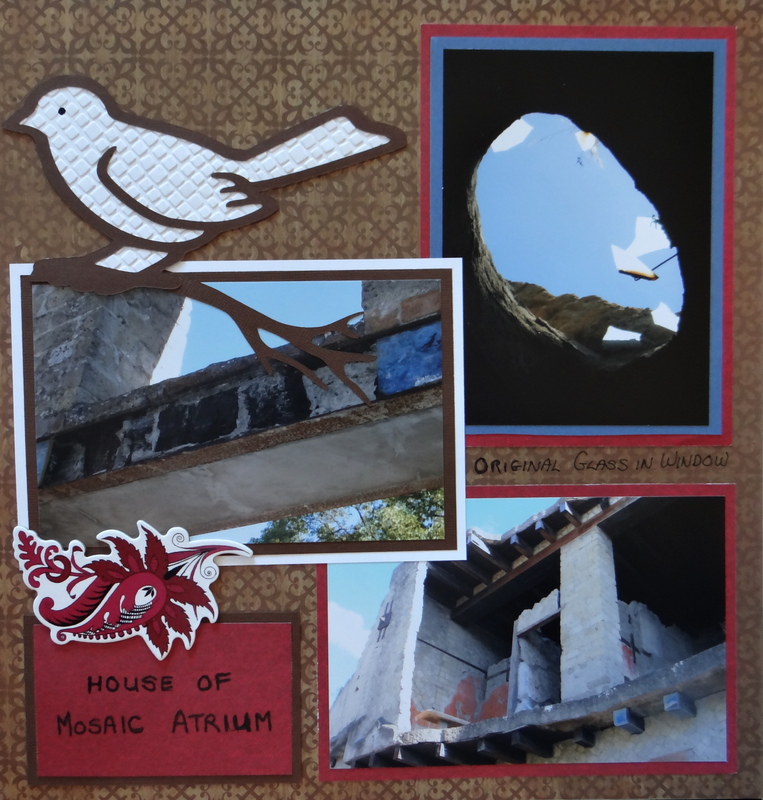 Inspiration: The bird in the mosaic tile entrance of this house. The bird and branch are from Picturesque. 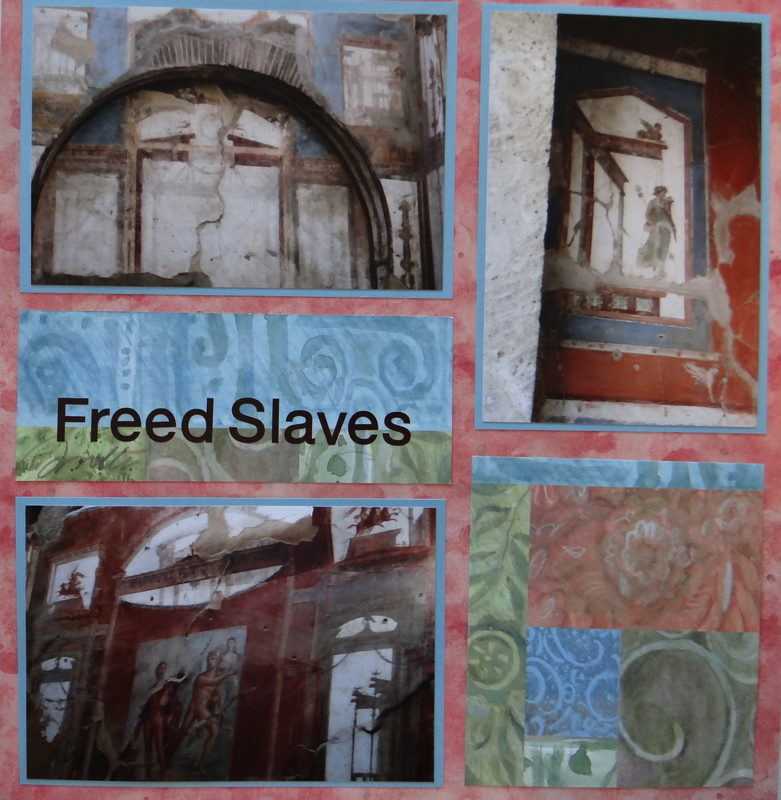 Inspiration: The mosaic tile floors of the women’s public baths in Herculaneum. 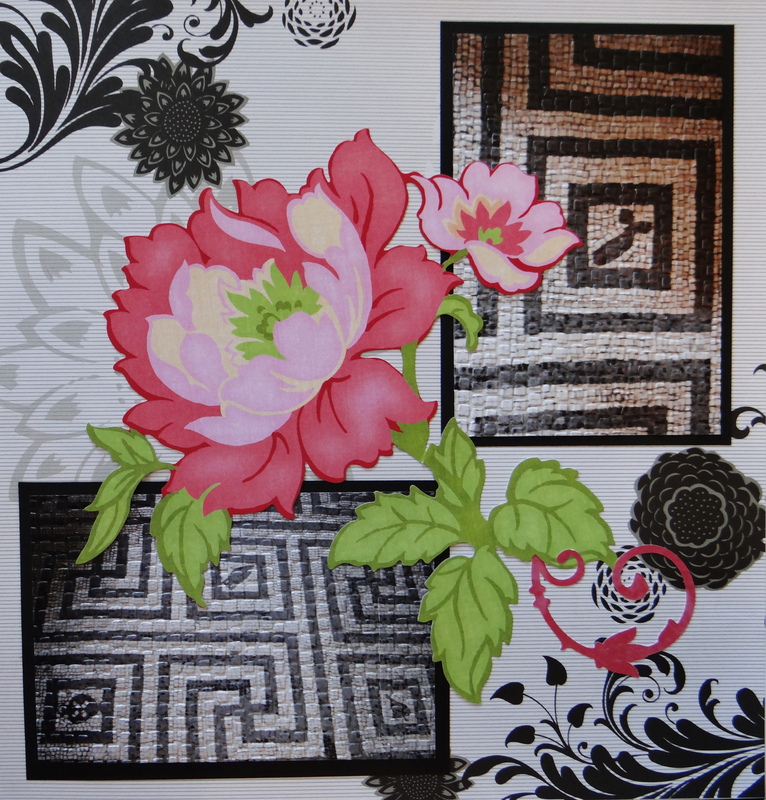 The scrapbook paper is from Me & My Big Ideas Black & White. The swirl is from Picturesque. 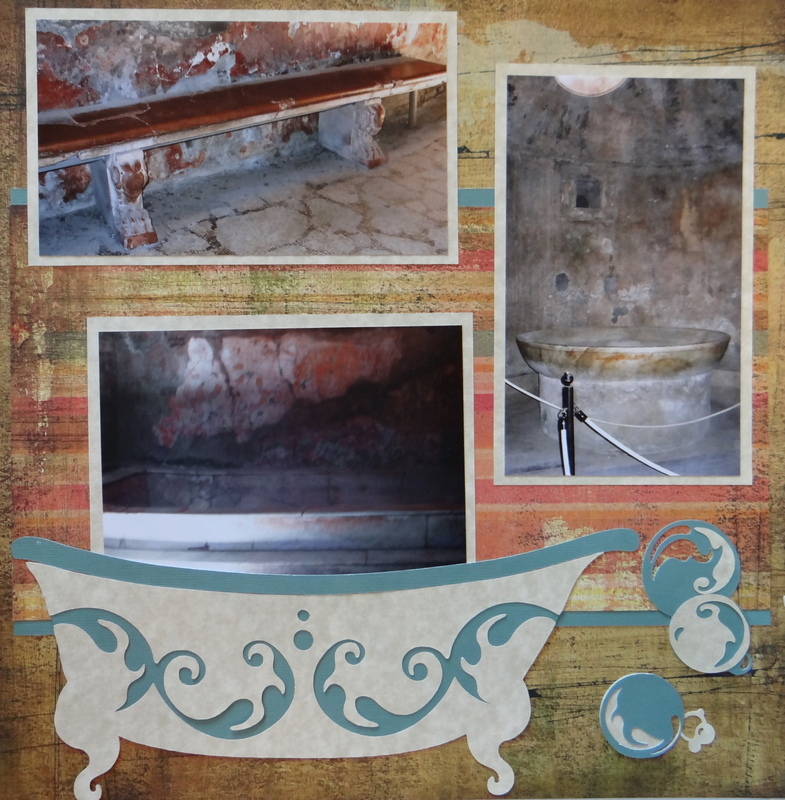 Inspiration: The men’s Public Baths. 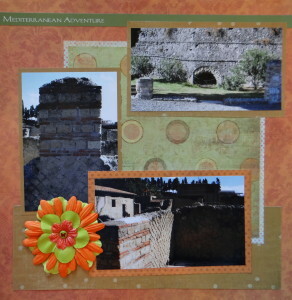 The scrapbook paper is from Basic Grey Motifica Paper Pad. 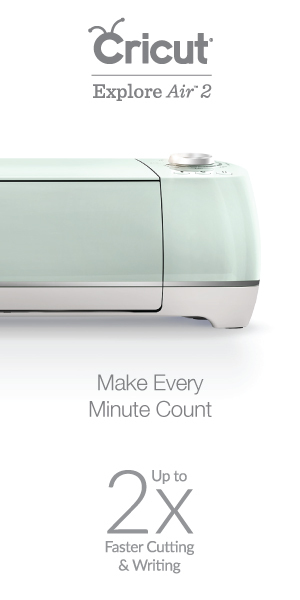 The bathtub, bubbles and title “Bath” are from Cricut Splish Splash.